Seven. They say that seven is a lucky number. 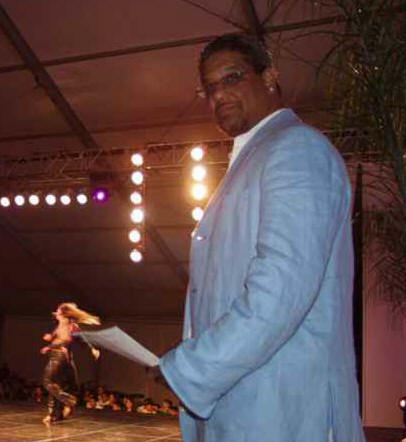 If that is true, then seven is a magic number for Albert Torres, salsa’s number one promoter in the world. The 7th Annual West Coast Salsa Congress once again proved that Mr. Torres has what it takes to put on a great show – the best salsa show ever! Who else can put eight of the best afrocuban music bands in the planet on one stage? . This year, like the previous one, Torres built a city within a city, aptly named Salsaland, which was located within the bounds of the Hollywood Park and Casino. 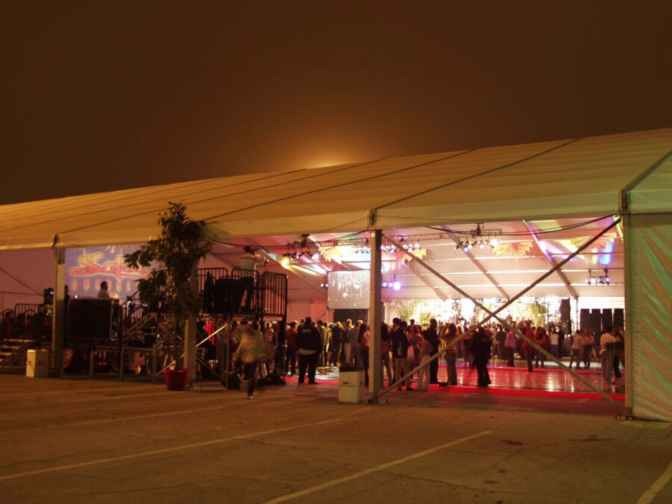 This incredible site featured everything that a salsa lover ever dreamed of, and it consisted of a series of solidly-built tents of several sizes. Of particular significance were the amphitheater, where all the dancing competitions took place, and the concert hall, where all the featured salsa bands played. Of course, there was an assortment of businesses, which included food stands, CD and clothing stores, souvenir shops, and more. The activities began Monday, May 23, at the Marriot LAX hotel, which served as home base for the congress. During this day, the so-called musician’s seminar got started. This year, some of the instructors from last years’ seminar, returned by popular demand. 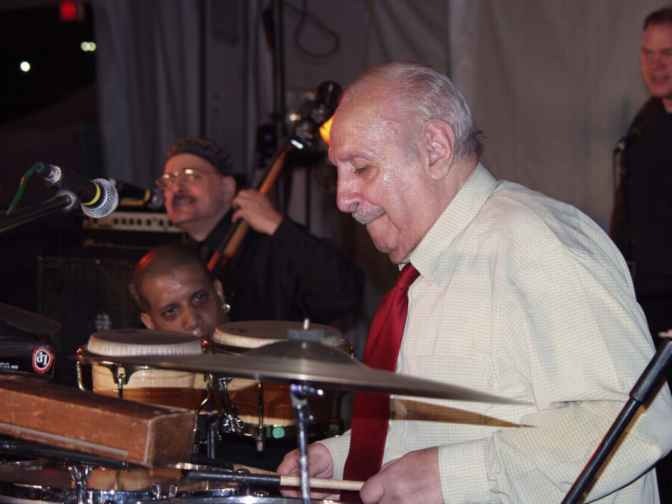 They were: Manny Oquendo (timbales - old school), “Chino” Núñez (timbales - new school), Bobby Allende (congas), Oscar Hernández (piano), Jimmy Bosch (trombone), John Walsh (trumpet), Mitch Frohman (sax, flute), and Frankie Vázquez, Ray de la Paz, and Willie Torres (vocals). 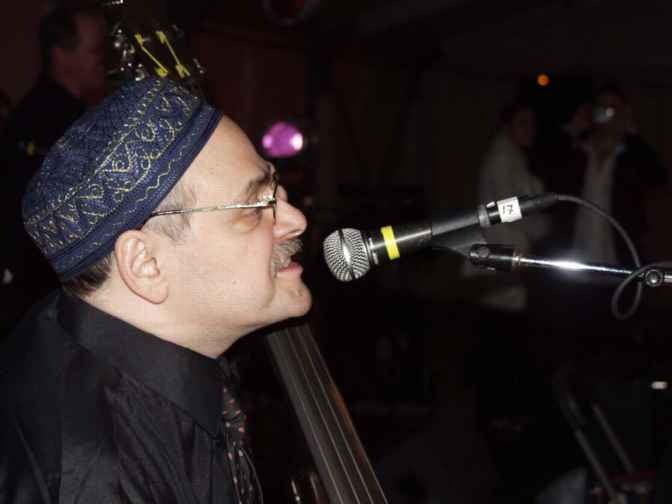 The great addition to this year’s distinguished group of teachers was master bassist Andy González, who is finally back, after a long illness. For those of us who were lucky to be present at this seminar, it was a real treat. The students that were wise enough to invest in these classes were taught by the masters. Like last year, some of them were chosen to participate in the Musician’s Seminar Orchestra, which would play the opening night. And I have to say – and it was the general consensus -- that this year’s band was better than 2004. However, the best part of these classes was provided by the instructors themselves, when they joined together to do some serious, improvised jamming. These descargas were the highlights of each day, and only a few of us were witnesses to that. Wow! Manny Oquendo, Andy González, Oscar Hernández, Jimmy Bosch, and others jamming together? Forget it! It doesn’t get better. Thursday, May 26th, was the first day of heavy activities. The night began with the dancing competition, which, during the four main days of the event, was very crowded. People from all over the world came to see the splendor of this part of the congress. For dancers, this is truly a paradise. And the best thing is that Albert records all these presentations and sells them later in a fantastic DVD. Like previous years, the names of the dancing times were astonishing: S.W.A.T, Sabor con Fuego, Imagen Latina, Salsa Heatwave, Salzumba, Son Colombianos, Aloha Rumberos, Los Traviesos, Sol y Fuego Dance Co., Wasabinten, Brisa Latina, Salseros with Attitude, Taima Tripical Gem, to name a few. Creativity is the name of the game here and, in addition to their unique names, their attires and their dancing routines were sensational. That same night came what I have been waiting for: The Music. And what a banquet Albert had in store for us! He outdid himself again – as he always does – and presented the best bands in the salsa market these days. The following paragraphs are an account of the music that we enjoyed at the congress. 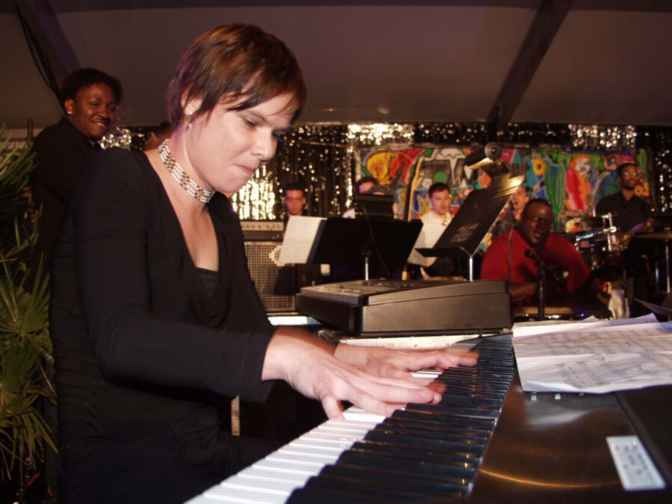 The group that opened the 7th Annual West Coast Salsa Congress was the very special Musician’s Seminar Band, which included the best students that participated in the classes offered the days preceding the concerts. They were from Australia, Japan, France, Spain, Mexico, New York, Los Angeles and many other places. Directed by salsa veteran Oscar Hernández, this band truly sounded great. Their rendition of “Pueblo Latino” was memorable. As I said before, the consensus was that this band was better than last year’s. Some time later, the stage was taken by one of my all-time favorite orchestras: Manny Oquendo y Libre. The band members were: Manny Oquendo (timbales, bongó); Andy González (bass); Octavio Kotan (electric guitar); Leonard Pollara, Jimmy Bosch, Dan Reagan (trombones); Tony Rosas (conga); Alex Harding (sax); Marcus Persiani (piano); Alex Norris (trumpet), Eddie Zervigón (flute); and Jorge Maldonado and Frankie Vázquez (vocals). I have been lucky to see Libre many times before, but, this particular night, they were out of this world. This band was tight, to say the least. They opened with my favorite, “Obsesión,” where Bosch provided some great trombone melodies. The guajira / son montuno “Cuando se acabará,” magnificently sang by Maldonado, was the following tune, and by this time I was in heaven. Next was the powerful “Saoco,” in which Alfredo de La Fe was invited to join the band. His presence, plus Vázquez fabulous job on the vocals, was electrifying. They ended their presentation with a very-short comparsa. Although they were supposed to play for a longer time, their set lasted little less than an hour. But I can tell you that this very short period of time can not be repeated. I have rarely seen a band so in sync as this one. I thought that theirs was going to be a tough act to follow. Call me biased, but I believe I was right. The next band was one of respect. Like Manny Oquendo, Willie Rosario has been around for a long time. 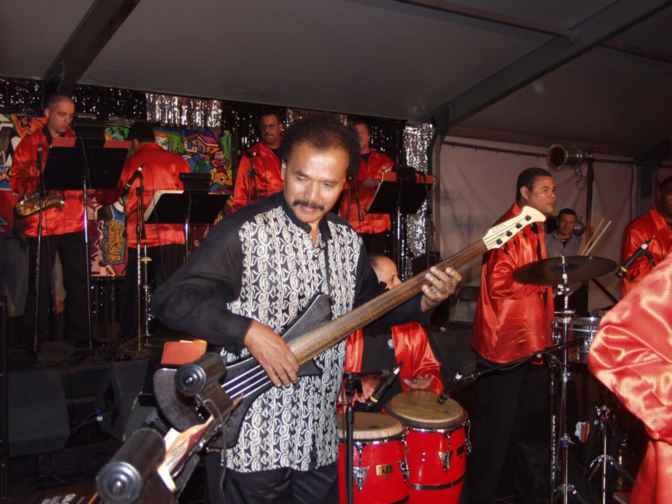 Willie Rosario y su Orquesta is a class act – no doubt about it. 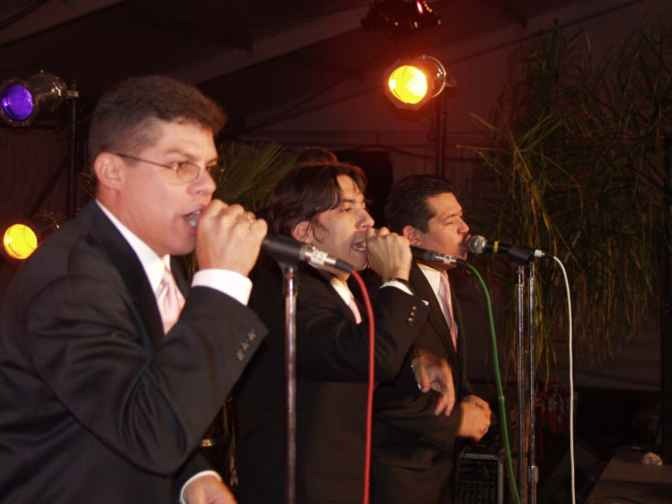 Rosario, known as “El Rey del Afinque,” has a group that is also very tight and controlled. 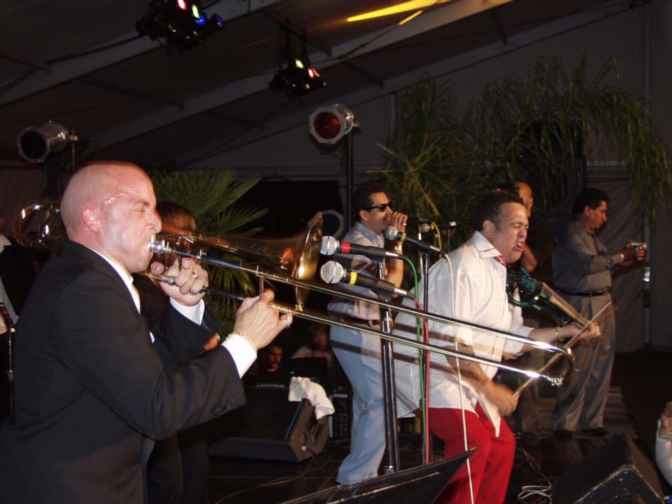 The orchestra members were: Willie Rosario (timbal); Carlos Roldán (bass); Marcelo Rosario, Elliot Feijoó, Luis González, and Luis Ortiz (trumpets); José Tirado (sax baritone); Charlie Santiago (conga); Pedro Bermúdez (piano); and Luis Vergara, Juan José “Juanchi” Hernández, and Omar Negrón (vocals). When it comes to salsa music, Diego Galé is the man with the Midas touch. 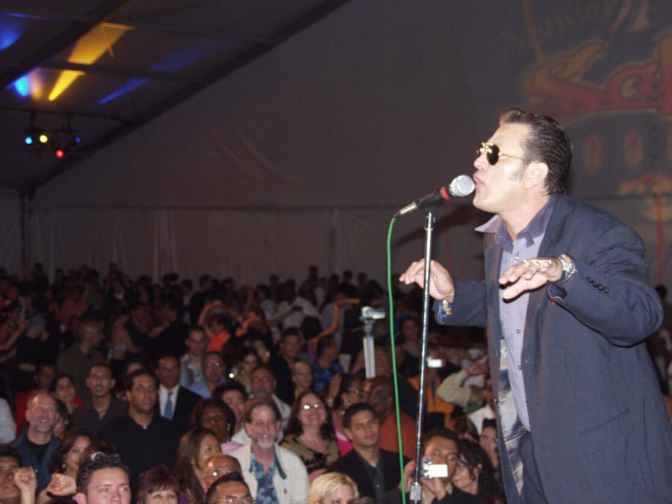 He keeps reinventing himself with several successful bands, such as Quinto Mayor, Son Charanga, Grupo Galé, and la Sonora Carruseles. His latest incarnation is with King Bongó, which had created a lot of anticipation the days preceding the congress. And his new group didn’t disappoint. They came to please, to really please dancers and salseros alike. 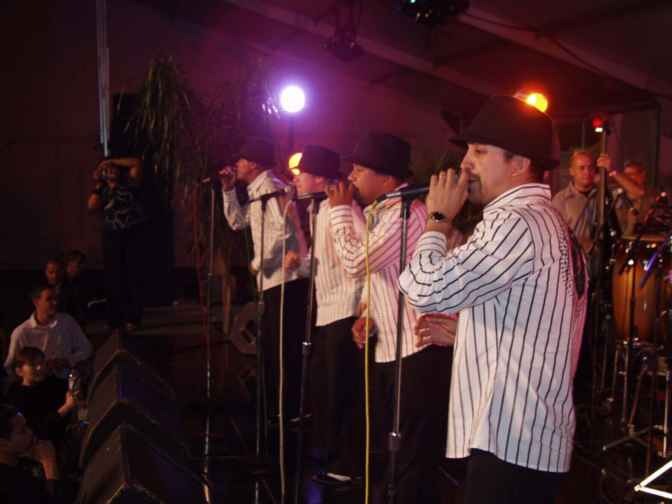 The lineup of King Bongó was: Diego Galé (timbales); Jimmy Galé (conga); León Piedraita (bongó); Hernán “Tato” Tatin Benítez (minor percussion); Orlando Libreros and Luis Bravo (trumpets); Alvaro “Peluza” Cabarcas (piano); Sergio Munera (bass); and Oti Osorio, Jairo Andrade, Jonathan Betancourt, and William Upegui (vocals). With a sound very similar to Sonora Carruseles, Galé and his boys didn’t waste any time, and went right to the hearts of the dancers. 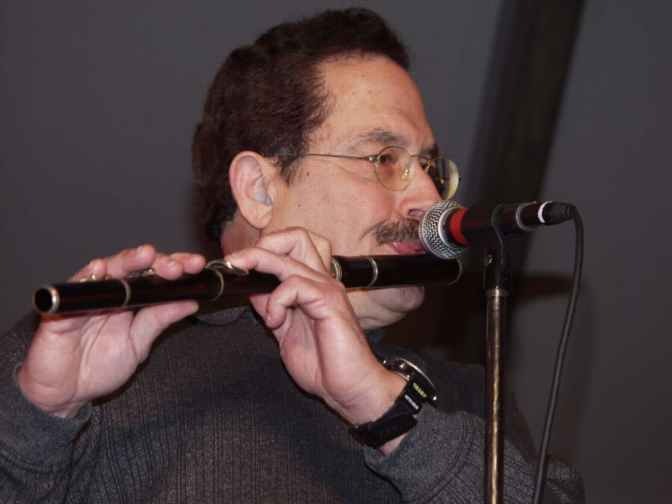 He opened with the energetic “King Bongó,” which introduced the powerful band to the audience, serving them with some bongó and trumpets jamming. They followed with Ismael Rivera’s “Maquinolandera,” and by the boogaloo “Micaela,” which Pete Rodriguez made famous and King Bongó loaned from la Sonora Carruseles. They continued with the crowd-pleasing “La Rumba va a comenzar” and “Cumbia Boogaloo.” To close their very dynamic set, they played the popular “Al Son de los Cueros,” which featured guest artists Bobby Allende and Chino Núnez, from the Spanish Harlem Orchestra. This was a feast of cueros and more cueros. 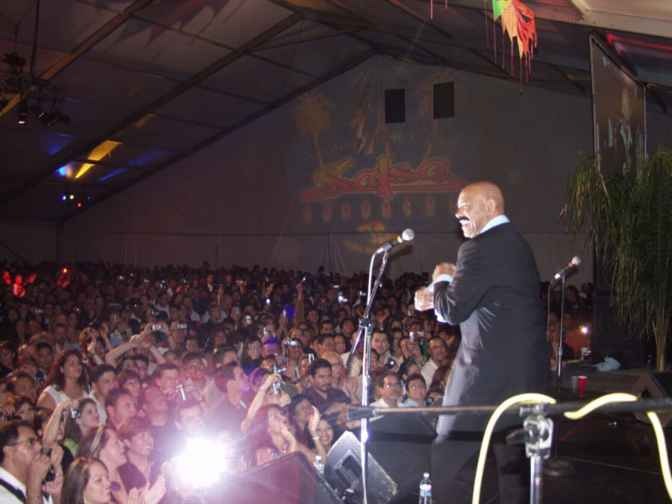 Violin and salsa great Alfredo de La Fé joined the fun, providing for an awesome end to the King Bongó show. 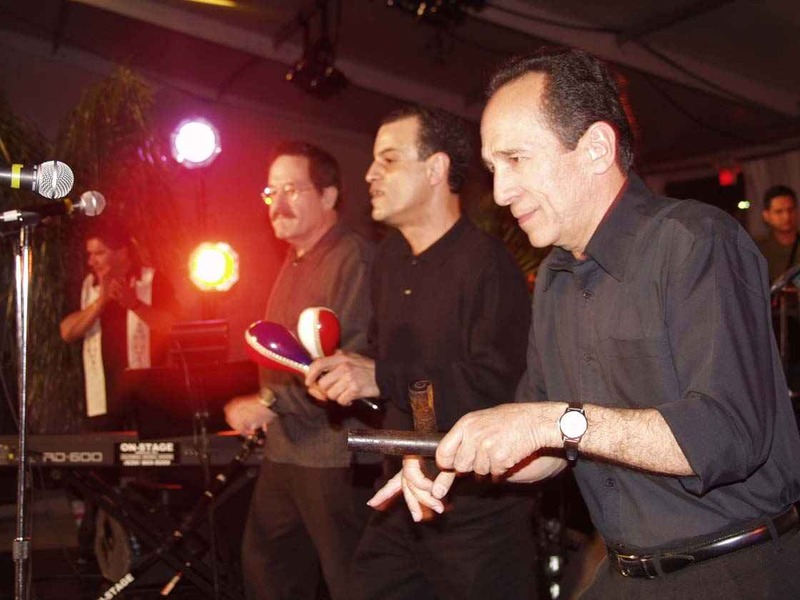 The Professor Bobby Valentín and His Orchestra: Bobby Valentin, Jimmy Bosch and Alfredito De La Fe. 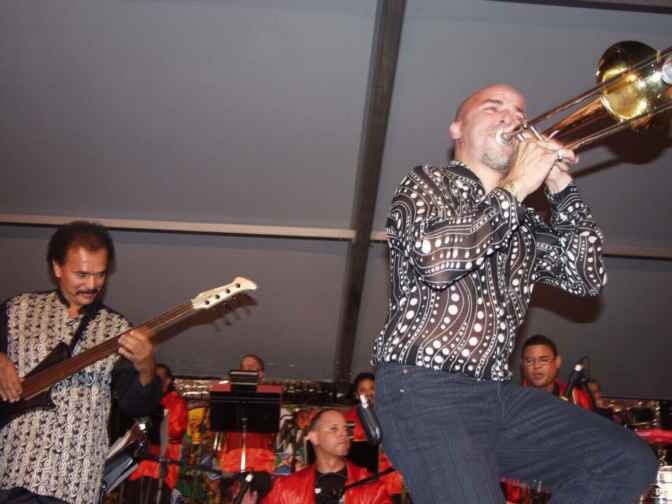 King Bongó served to heat the stage for the next band: Bobby Valentín and Orchestra. Although I have seen Valentín many times with the Fania All-Stars, this moment was a very special for me, because the last time I saw this group was in the early 70s, with the late Marvin Santiago, Frankie Hernández, and Pellín Rodríguez (“La Mata de Tomate,” anyone?) at the vocals. 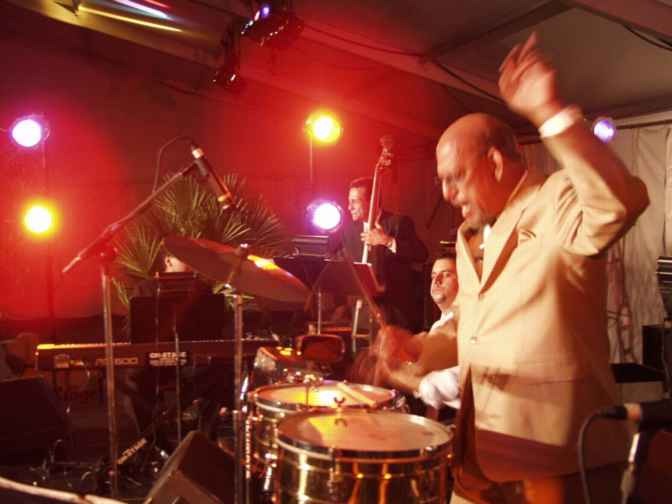 Valentín’s band included: Bobby Valentín (bass); Richard Carrasco (piano); Alberto Muriel (bongo); Víctor Roque (conga); Edwin Clemente (timbales); Eliup Cintrón (trombone); Angie Machado and Piro Rodríguez (trumpets); Reynaldo Castellanos and Roberto Calderón (saxophones); Ramsey Ríos, Harold Montañez, and Hector Juan Rivera (vocals). 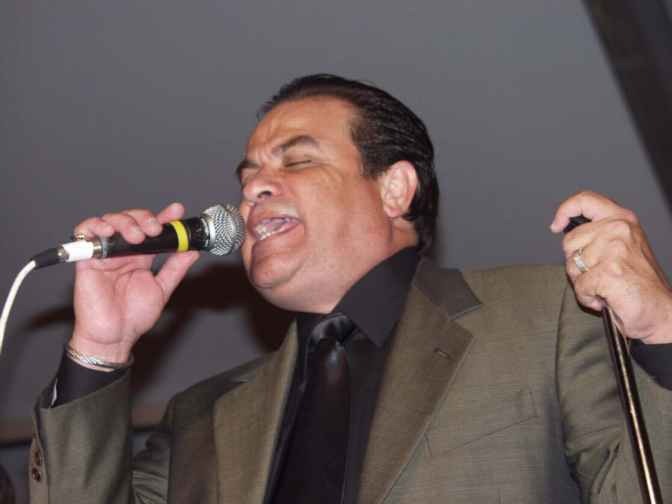 You can always depend on José Alberto “El Canario” and his Band. He is one of Albert Torres’ favorites, because he always puts a good show, and was a great choice to open Saturday night. He’s been here before, so we knew what to expect. And he didn’t let us down. On this occasion, the band members were: Carlos Orduz (baritone sax); Luis Cruz (trombone); Julie Acosta and Steven Oquendo (trumpets), Kevin Rodríguez (piano); Kevin Pagán (bass); Pichi Correa (conga); Ray Colón (bongo); César Carvajal (timbales); and Luis Soto (coro). “A la Hora que me llamen,” which is like his call-to-war song, was the tune that El Canario chose to open his presentation. And it was a splendid choice, because he immediately ignited the crowd. The level of energy continued with “Quiero Salsa” and “La Paella.” However, my moment in heaven came when José Alberto played “Amada Mía.” I don’t know if it’s me, but I feel that the band reaches unspeakable heights every time they play this song. You can see and feel El Canario’s happiness when he sings it. Awesome, simply awesome. He followed with his rendition of “Chan Chan,” another favorite of mine. I wonder if he is ever going to record it. Next was Cuba’s second anthem, “Guantanamera,” where Alfredo de la Fe joined El Canario, his one-time partner with Típica ’73. And the connection was immediately felt when the orchestra switched to “Baila que Baila,” one of Típica 73’s best songs. And this turned out to be the highlight of the night, because in addition of José Alberto playing congas, Bobby Allende, Chino Núnez, Frankie Vázquez and Jimmy Bosch went onstage and did their thing. It was such a wonderful moment, and the electricity was so high, that Alfredo and José Alberto went down the stage and joined the crowd. What a mesmerizing moment! What a way to close a set! Spanish Harlem Orchestra - Domingo Quiñonez como Hector Lavoe 1. 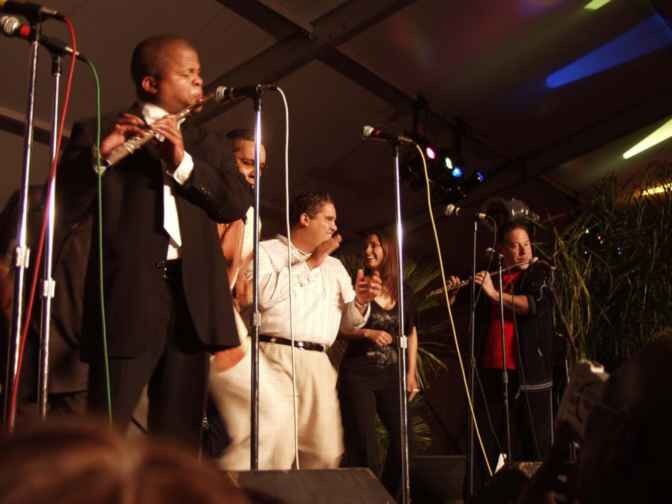 The band that followed, and that was responsible to keep the momentum, was the Grammy® winner Spanish Harlem Orchestra (SHO). Theirs was a huge responsibility. The truth is, Oscar Hernández’ boys are always ready. This is a powerful band that works non-stop. For this night, the band members were: Oscar Hernández (piano); Chino Núnez (timbales); Bobby Allende (congas); George González (bongó); Mitch Frohman (sax); Dan Regan and Jimmy Bosch (trombone); Máximo Rodríguez (bass); John Walsh, Pete Nater, and Charlie Sepúlveda (trumpets); and Ray de La Paz, Willie Torres, and Marco Bermúdez (vocals). SHO started the set with their version of the classic “Cuando te Vea,” with the experienced voice of Ray de La Paz, who is singing better than ever, followed by “Tun Tun suena el tambó,” where Marco Bermúdez once again proved that he is a rising star, and a great addition to the SHO. 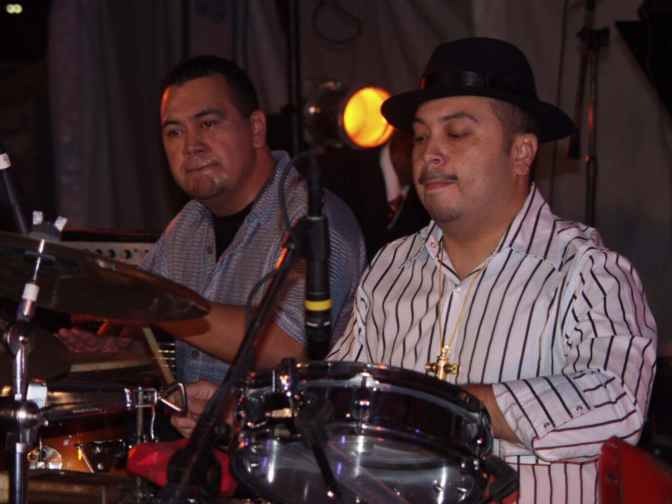 Willie Torres was in charge of “Pueblo Latino,” from the band’s first CD, keeping the energy at its maximum level. 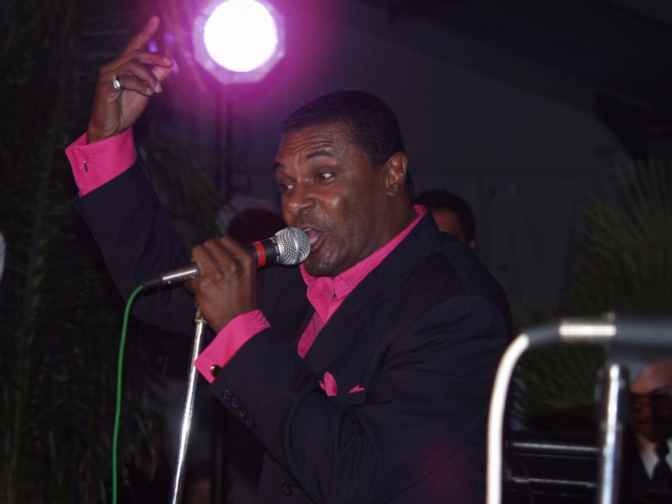 The party continued with “Sácala a Bailar” and “Ariñañara.” At the end of this last song, salsa veteran Domingo Quiñones ― a very special guest ― took over the vocals, and began a set of his own, with the SHO providing the music. Quiñones, who has been having drug-related problems, appeared to be in good shape, at times jumping and moving his arms like he was in a boxing match. It reminded me of a Fania All Stars concert many years ago, in which many of its members, especially Héctor Lavoe, spent much of the initial minutes jumping like rabbits. Don’t ask me what elicited that weird behavior. But, this night ― the jumping set apart ― Quiñones was in good shape, voice-wise. He sang many of his most popular hits, opening with “A que no te atreves,” followed by the insipid “Salsumba,” and “El más buscado.” To my great delight, Quiñones included the soulful son montuno “Tremendo Cumbán / Oriente,” where Oscar Hernández did a superb piano solo. In addition, it made me very happy that Quiñones continued with a potpourri of songs honoring the late Héctor Lavoe, which featured “El Cantante,” Periódico de Ayer,” “Triste y Vacía,” “Hacha y Machete,” and “Todo tiene su final.” This segment, by itself, justified the admission ticket to this night’s show, because these tunes are part of the musical “¿Quién Mató a Héctor Lavoe,” which has never been presented in Los Angeles. So we got a little flavor of the play. Quiñones does a great impersonation of the late singer, including his movements and way of singing. He also does a fine imitation of his voice. By the way, by the time I was writing this review, this great salsa singer was on the news due to his recurrent drug problems. He is a true sonero and talent, and let just pray that he doesn’t waste his gift like Héctor Lavoe, Frankie Ruiz and others, that succumbed to dope. 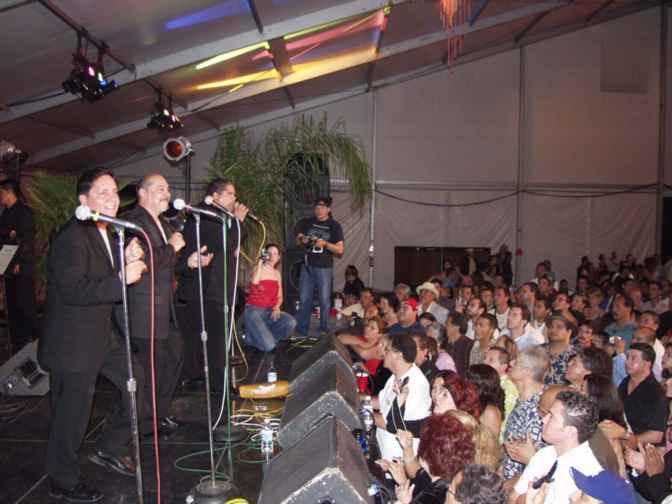 After Quiñones’ set, there was supposed to be a “Duelo de Soneros,” which would feature a singing match between some of the big names that performed that night. Unfortunately, the SHO act ended too late and most soneros got tired of waiting and left. Luckily, Domingo stayed and he was joined by Marco Bermúdez and Willie Torres, from the SHO, and Costa Rican singers Chino Espinoza and Carlos Cascante. Johanna Castañeda. Duelo de flautas entre Mauricio Smith Jr.
Jimmy Bosch & His Orchestra, who just released the swinging “El Avión de la Salsa,” was the opening act for the last night of the congress. It had to be that way, because he also one of Alberts’s favorites and always delivers with his aggressive New York City Salsa sound. The musicians lineup was: Jimmy Bosch (trombone), Mauricio Smith Jr. (sax, flute), Jeff Lederer (sax), Pete Nater (trumpet), Eric Vélez (conga), Pucho Matos (bass), Chiemi Nakai (piano); Joseph Rodríguez (timbales); Pedro Segundo (bongó), and Ray Bayona and Johanna Castañeda (vocals). Bosch and his orchestra went right to the point, and opened with the feisty “El Avión de la Salsa,” which ignited the crowd, as intended. He kept the momentum with the equally spunky “La Cacharra,” where Alfredo de la Fe jumped onstage and delivered a fiery violin solo. 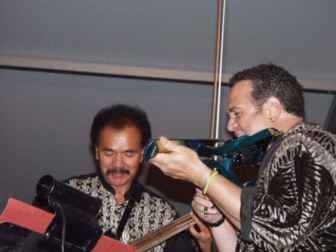 But the highlight of the presentation was, without a doubt, when the band played “Otra Oportunidad ― one of my favorites ―, where Frankie Vázquez and Hermán Olivera joined the action. Willie Torres and Mitch Frohman also went onstage. This was a significant moment because Vázquez and Olivera were the original singers of this tune. 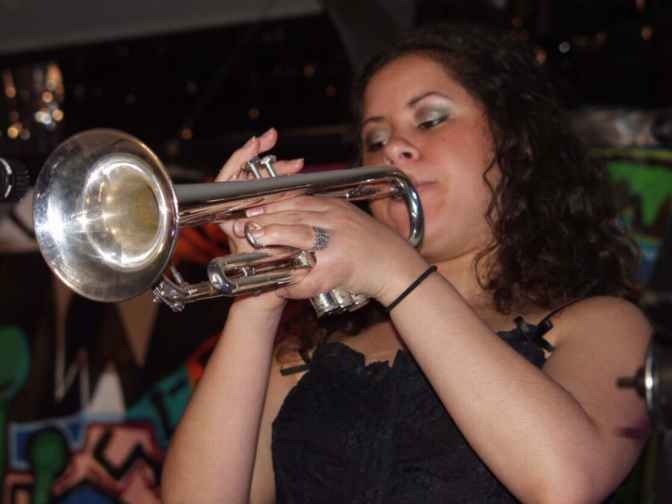 The band followed with “Llegó la Hora,” and closed with the energetic “Descargarana,” where there was some powerful brass jamming ― moñas, if you will ―, with Frohman joining the brass section. Singer Chino Espinoza also went onstage. A monster by the name of Oscar D’León came next, returning to the congress by popular demand. This is a promoter’s dream, because, when everything fails, he will bring people in and make money for everybody. If you have seen him in one of his shows, you know that you can always count on him to deliver his 100 plus percent. And that is precisely what he did again this night. 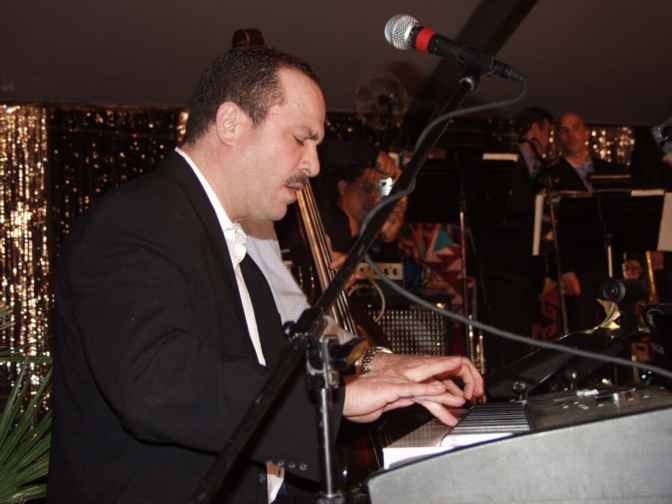 The orchestra was comprised of: Oscar Reyes (piano, musical director); Gustavo Carmona (bass); Cristobal Petit (conga); Charles Peñalver (bongó); Yorman León (timbales); Luis Pereira, Wilmer Terán, and Tarcisio Piñango (trombones); Frank Fariñes, Andrés Diaz, and Julio Barraes (trumpets); and Orlando Mosqueda (keyboards). 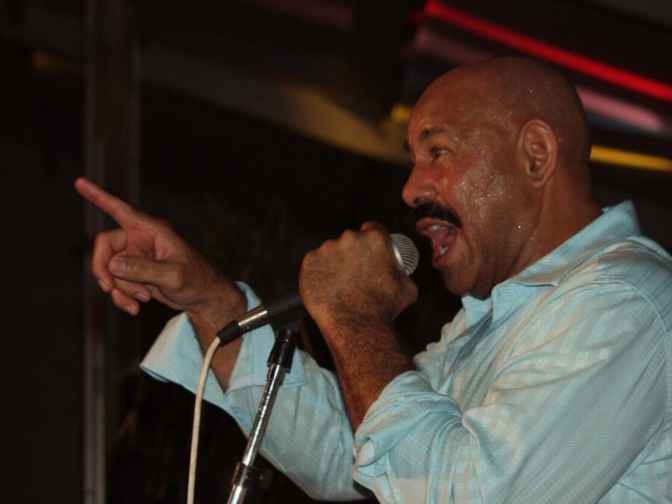 Oscar D’León’s set was a formidable way to close the 7th Annual West Coast Salsa Congress. If he could have it his way, the Venezuelan singer would have kept going. But it has already been four days of hard salsa with the best bands in today’s salsa world. This, definitely, was Albert Torres’ best and biggest congress to date. Every person that loves and cares about the music should have the privilege of attending one of these events in his or her lifetime. 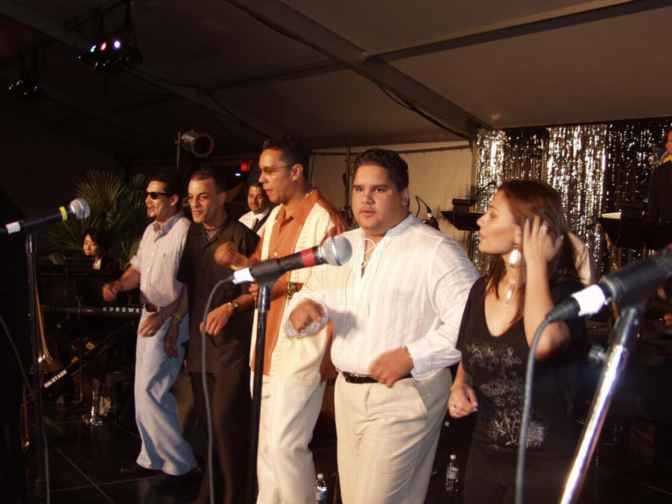 As a hook, let me just mention the bands that Torres announced will tentatively be participating in the 2006 congress: Típica 73, with most of its original members; Tito Puente’s Original Band; Puerto Rican Masters; Johnny Polanco y su Conjunto Amistad; Chino Espinoza y Los Dueños del Son; Tabaco y Ron; and more. How about that? Please take note: You were told one year in advance. Keep checking Albert’s website at www.atpevents.com for updates. 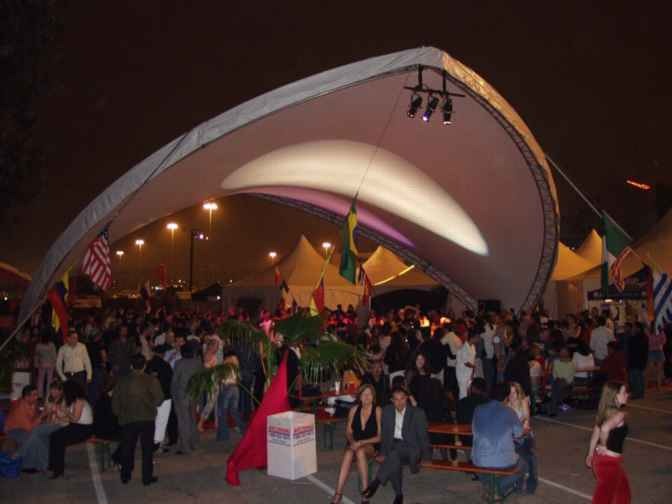 See you next year at the 8th Annual West Coast Salsa Congress in 2006! My heartfelt thank you to Albert and Maya Torres for letting us be part of this magnificent event. It is truly a privilege to know them and support their work in any way possible. My gratitude to the best publicist in town, Cynthia Semon, for her hard work and good will. I’m also very grateful to Albert Torres’ Productions staff, for all they do: Fernando “El Samurai” Barrera, David Burke (Big Boy # 1), Brian Phillipe (Big Boy # 2), Juan Manuel Sánchez, José Mendoza, Carlos Miranda, Maritza Ingar, Jim Aparicio, Cristina Haggerty, Deddie Farley, and Benjamin Rappaport. My thanks to my dear friend Agustín Pérez Aldave, from www.mambo-inn.com, Peru’s best salsa website. It was an honor meeting you. My eternal gratitude to Bruce “Chuck” Brewer and Antonio “Caco” Núñez for keeping up with me all these years, and mi hermanito Israel Sánchez-Coll, for putting this piece together for publication. It’s been one long and productive year at Herencialatina.com.